Louis Tomlinson is the most popular guy at his high school. Everyone worships him and the fact that he is the captain of the football team is all the more reason why they do. He&apos;s cocky and knows all too well that every student at school adores him. Well, except for one person that is; Harry Styles. Harry is quite the opposite of Louis. 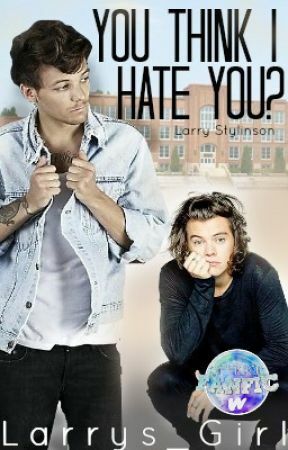 He likes school and cares about his grades while Louis just laughs it off. It so happens that these two boys go to the same school and even have the same timetable. They both hate it and can&apos;t stand the thought of having to be close to each other. What happens when they suddenly have to become step brothers? Will the hate still be there, or will it turn into something else? What if everything gets too difficult for the two of them? So, another story, yeah? I&apos;ve always wanted to do a step brothers fanfic, so I just havveeee to, okay? I hope you&apos;ll like it because I&apos;ve been waiting for this moment all my life... Well, not really, but you get me. • Contains a bit of Narry and Elounor. Harry was sitting at the kitchen table, eating dinner with his mother and sister in a comfortable silence when his mum decided to speak up. "I&apos;ve got some news to tell you," she said, looking up at her two children with a small smile on her lips. Harry and his sister Gemma leaned forward in their seats, eyes staring at their mother curiously. "Yes?" His mum, Anne, brought her fork with spaghetti to her mouth and started chewing on it awfully slowly. Harry could barely take it, but restrained himself from urging her on, knowing it would only take more time for her to say whatever she had to say. When she&apos;d gulped down the food she reached forward to grab her glass of water and lifted it to her lips to sip on it. Harry and Gemma were rolling their eyes at this point, knowing this was so typical of their mum. She loved taking her time only to make them impatient and frustrated. "For God&apos;s sake mum, can&apos;t you just say it?" Gemma finally groaned when Anne had swallowed another forkful of spaghetti. Anne smirked at her two children, nodding her head slowly. "Sure, but only because you asked so nicely." 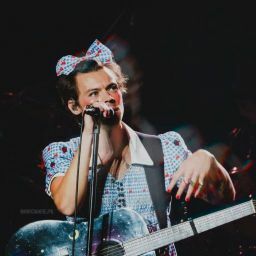 She was like a three-year-old in a grown woman&apos;s body, Harry was sure of it. "So?" he said after thirty seconds of silence. "I&apos;ve started dating again," she confessed, a bright smile breaking out on her face. To say Harry and Gemma were shocked would&apos;ve been an understatement. Their mouths were hanging open while they were staring at their mother with wide eyes. Anne hadn&apos;t dated anyone in three years; ever since their dad left them to start a new life. She was devastated at first, promising herself that she would never fall in love again, but now three years later she had apparently met someone new. Finally. "In fact, I&apos;ve been on quite a few dates with the same guy, and he&apos;s actually coming over tomorrow night. So, would you please make sure you are home then? I want you to meet him." Harry finally got out of his daze and nodded enthusiastically. "Of course. I&apos;ve got nothing better to do anyways. On another note, do you know if he has any kids?" he asked hopefully, wanting to befriend new people, especially if it was someone who would be his step brother in the future. "Yes, he actually does. I&apos;ve never met him personally though, I just know that he&apos;s got a son your age, Harry," she smiled, looking over at Gemma who rolled her eyes. "Looks like I&apos;m never going to have a sister," she sighed, but you could clearly hear that she was just kidding. Not that she wouldn&apos;t love to have a sister though, that had been her dream since she was little and started playing with dolls. It didn&apos;t matter how many times she tried getting Harry to play with her, he always refused, and now when she was more grown-up, she understood why. "Sorry, honey," mum said, pouting, although a small smile was playing on her lips. "Well, I guess I should head up to my room and finish off my homework. See you later," Harry announced, getting up to dump his plate and glass in the sink before going up to his room. Once he was seated at his desk with his homework scattered in front of him, he started thinking about who the kid could be. He most certainly lived in town because he doubted his mum had met someone outside of it. And since there was only one high school here, he probably went to Harry&apos;s school as well. Though, there went a lot of guys there, so it could be anyone. Despite that, Harry was still really curious and couldn&apos;t stop thinking about whom it could possibly be.